Dr Joyce Trail, a Dentist from Sutton Coldfield, was convicted of conspiracy to defraud last year and is currently serving 7 years in prison for fake dental claims and unnecessary dental treatment she submitted to the NHS and for perverting the Course of Justice. Recently, the General Dental Council (GDC) ruled to strike her off the register. An NHS investigation in 2004 concluded that Dr Trail had over-claimed for NHS dental treatment and she was ordered to pay back £327,000. Undeterred by this however, between 2006 and 2009, Dr Trail made 7,141 claims to the NHS for dental treatment she had not provided or had provided under fraudulent circumstances. • treatment for people who were deceased. It is calculated that Dr Trail received around £1.4million as a result of defrauding the NHS and she received a further £94,000 in employer’s contributions to her pension. Merely days after this decision, the GDC removed Dr Mohammed Ashraf from the register following a similar investigation. Dr Ashraf ran the Great Horton Dental Practice in Bradford and was arrested in January 2009 for allegations of making fake dental claims to the NHS. Although, Dr Ashraf was acquitted by a Bradford Crown Court Jury he was subject to a Professional Conduct Hearing in London on 22nd October 2013. During the hearing, it was held that Dr Ashraf made “inappropriate and dishonest” claims and he had interfered with witnesses with the intent of deterring them from giving evidence at the hearing. Both Dr Trail and Dr Ashraf have the option to appeal the decisions made against them, however, should their appeals be unsuccessful, their names will be permanently removed from the GDC Register. The patients involved in Dr Trail and Dr Ashraf’s treatment will have been subjected to painful treatment which can be distressing itself, but to then find out that the treatment was not even necessary will considerably add to their suffering. In addition they may require further restorative treatment. In such circumstances it is likely they would be able to bring a dental negligence claim for compensation for their pain and suffering and any additional treatment costs. 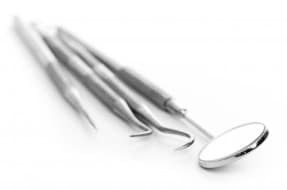 Our Dental Negligence team has experience in acting for patients who have been unfortunately subject to unnecessary dental treatment due to the negligence of their dental practitioner. Although we consider that making fake dental claims for profit involves a very small minority of the dental practitioner community, if you feel you have been subject to unnecessary dental treatment we would advise that you seek the advice of an independent dental practitioner and a lawyer specialising in dental negligence, such as the Dental Negligence Team, to investigate your concerns further.